Kitesurfing season is in full swing. 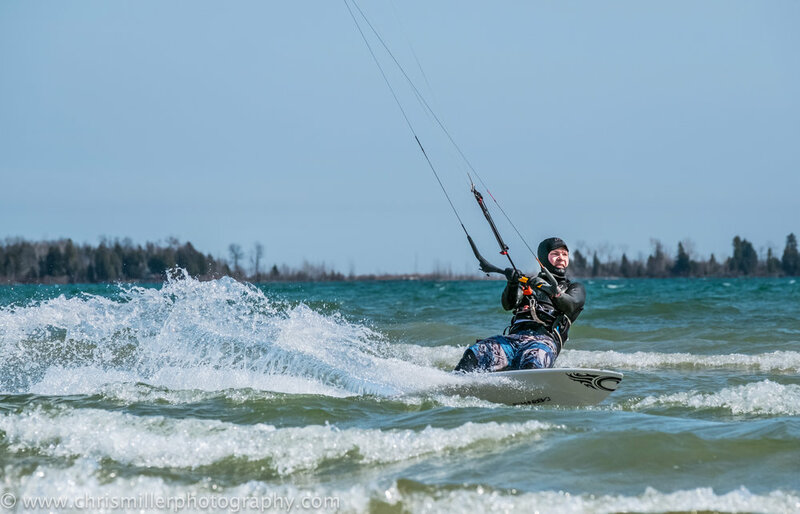 Here is a few images of Adam Jacobs and Tom Birmingham enjoying some south winds in Baileys Harbor, WI. The water was unbelievably cold , we were all set up with drysuits and the proper equipment to handle these tempaeratures. Tom Birmingham Enjoying some south wind goodness!